Rate this Article Much like Oculus' Oculus Home, Google has recently rolled out a brand new Android platform that is designed specifically for all things "virtual reality". Find out more about what Google Daydream is and what this new platform will bring. Whenever you Google the word daydream, the Wikipedia definition of “a short detachment from one’s current reality and surroundings to be substituted by a visionary fantasy which is experienced while awake” is the first entry you will see. However, when you Google the word “daydream” today, it seems that Google has given an entirely new but not necessarily different meaning to the word. Today, it simply means Google’s own platform for high quality mobile virtual reality, in short Google’s Daydream. Daydream is a new VR platform that will run on Android devices which will provide easier access to VR content on a mobile device. With Daydream Home, it will also serve as a central one-stop-place where you can access VR apps and videos with the Daydream headset. This is definitely a huge step-up from the rather rudimentary though pretty innovative in a cost-effective way, Google Cardboard. The Daydream platform in order to work is made up of 3 important parts. The Phone, the software and the VR hardware. The phones of course have to be Android Smartphones. Instead of the regular LCD display, a low persistence display like those found in current VR headsets like Oculus Rift or HTC Vive will be needed. Regular LCD’s cannot refresh fast enough that when you spin your head, the old image remains for several milliseconds which can cause dizziness. The phones should also be powered by what is known as a System-on-a-Chip (SoC). A sort of GPU chip specifically designed to work with the platform to support high-end VR games and applications. Lastly, the phones should be equipped with a complex set of low latency high quality censors for tracking head and controller movements. Android’s newest update will be the needed software. Known as Android N, Nougat or 7, you will definitely need it to be in your phone to run and access Daydream’s VR platform. Combined with a daydream ready phone, Android 7 VR apps and games are expected to run smoother and more responsive with the use of the SoC. Also. Daydream has a method of applying precise tracking at the software level called Electronic Display Stabilization. When the phone renders a scene from your headset’s location and sends the image to your screen, stabilization will adjust any discrepancy in movement between the rendered time and display time. Google has presented the conceptual designs for both the Daydream VR headset and controller. Not much information has been released so far except that it is under development; it uses a controller that has a touchpad, an app and a home button. Specifically designed for Smartphones that will be Daydream-ready and sort of a high-tech follow up to the Cardboard concept, the headset won’t have any processing power of its own but will rely instead on the phone for this. As Daydream Home will be the central access point for Android VR content, Google is currently working to have as many VR apps, games and content available upon the platform’s formal release. 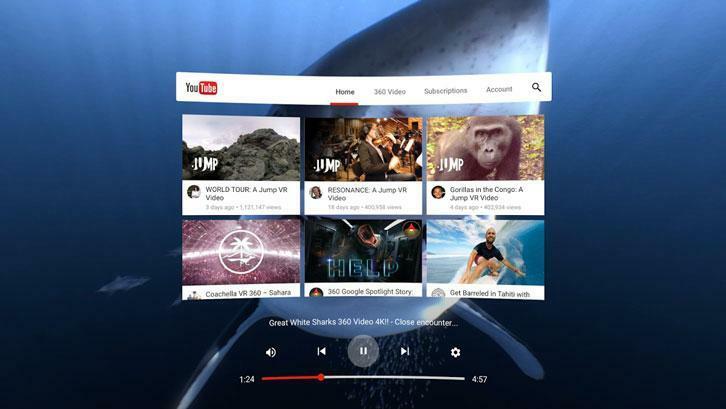 Google Play Store and You Tube under Daydream will have a redesigned user interface, 360-degree video view as well as motion controller support. Daydream home itself will support features like a title screen that will allow users to preview new apps and contents and directly access a game’s new level or game mode. You can even access daydream through the traditional phone interface without using the headset and run apps or games that aren’t specific to VR. Development wise, Google will provide developers with a comprehensive set of tools for Daydream. Daydream Labs will be sharing development information with affiliated third party developers to guide them in developing apps, content and hardware for the platform. Also included is a test application specifically created to test and learn about the new motion controller which would prove invaluable to mobile app developers. Both Epic and Unity have shown their support and a plug-in is already available for the Unity game engine. Daydream’s Software Development Kit with full access to Google’s software tools is available for C++ programmers. As of now, several manufacturers have announced their commitment to come up with Daydream-ready Smartphones like Alcatel, LG, Samsung, ZTE and Huawei. These companies may also be developing their own VR headsets for the platform. Google’s Nexus 6P Smartphone already meets most of Daydream’s phone requirements and can already be used to create a Daydream developer kit. However, the Nexus 6P wasn’t really designed for high-end VR applications and has the tendency to overheat when used for such affecting performance and may even damage the phone. There is still no specific information regarding the release date of the platform and its supporting hardware. However, Google aims to make it available within the year as it will be part of the Android 7 update. Pricing is expected to be in a price range competitive to Samsung’s current Gear VR which cost around 99.00 USD. 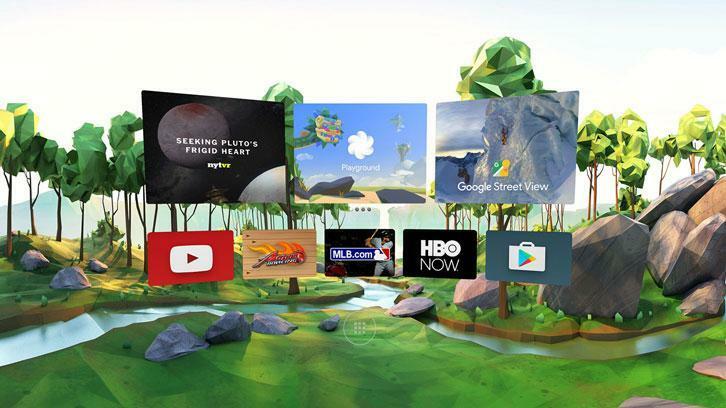 Daydream VR is a big step for Android as an operating system and a mobile platform. The reach may be limited at first as the latest Android update and high-end Smartphone will be needed to gain access to it. However, there is a big possibility of becoming the de-facto VR system for Android mobile devices as these new technology phones become standard and prices drop to affordability in the times to come.